The Dutch parliament on Thursday passed a motion recognizing as genocide the massacre of as many as 1.5 million Armenians in 1915, although the government said it would not become official policy of the Netherlands. 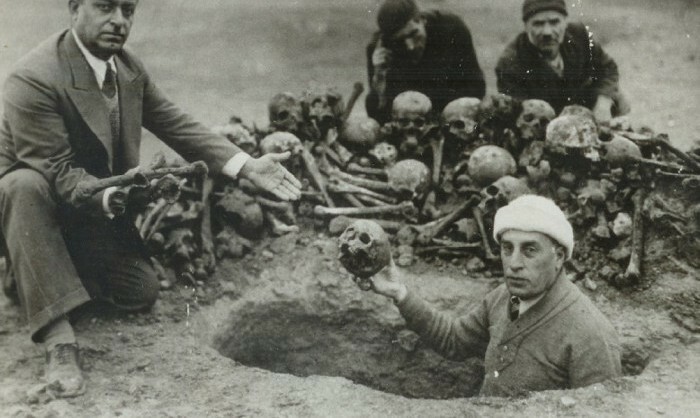 Turkey denies that the killings, which took place at the height of World War One, constitute genocide. Its foreign ministry strongly condemned the Dutch parliament’s approval of the motion and noted the Dutch government’s response to it. “The government will not follow the judgment of the parliament,” Foreign Minister Sigrid Kaag told Dutch television before the vote. She urged “utmost caution when applying the term ‘genocide’ to past events”. “This cabinet wants to be very careful about relations with Turkey, which have been better,” she said. Relations between the two countries, both members of NATO, plunged last year when the Netherlands deported a Turkish minister who had come to campaign among the Dutch Turkish minority for a constitutional referendum in Turkey. The Turkish statement made reference to the 1995 Srebrenica massacres, in which victims were killed after being turned away from a Dutch-run United Nations base where thousands had sought refuge towards the end of the Bosnian war. “Baseless decisions taken by the parliament of a country that turned a blind eye to the still painful genocide at Srebrenica have no place in history or in justice,” the Foreign Ministry’s statement said. Turkey summoned the Dutch charge d‘affaires to Ankara on Saturday to express unhappiness with the impending vote. Nearly a dozen other EU countries have passed similar resolutions. A second motion passed on Thursday calls for a high-level Dutch government official to attend Armenia’s formal genocide remembrance day on April 24. In the past, the Dutch ambassador has attended. Kaag said the government would consider how best to represent the Netherlands. Most scholars outside Turkey consider the killings were a genocide, or an attempt to destroy a people in part or whole. Turkey accepts that many Christian Armenians living in the Ottoman Empire were killed during World War One, but contests the figures and denies that the killings were orchestrated.